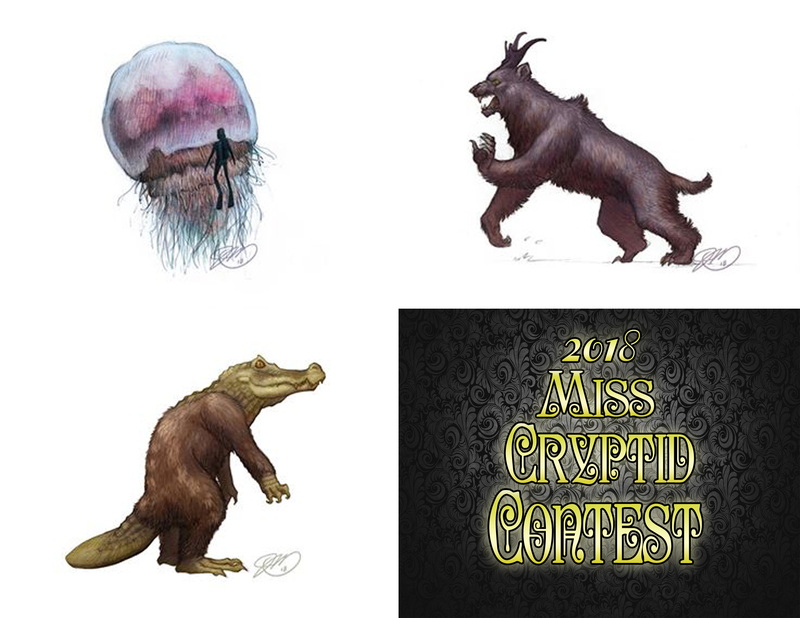 The cryptid conflict continues in week 2 of the 2018 Miss Cryptid Contest! 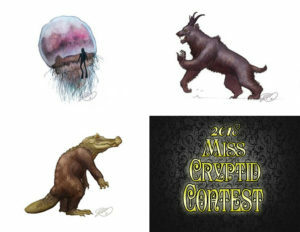 The Miss Cryptid Contest’s Week 2 lethal lovlies include the United States’ Ozark Howler, the Afanc from Wales, and the South Pacific’s Juranda Jellyfish. Legend and lore collide in this installment of the contest. Join Flora as he explores the folklore, fact, and fiction behind each of these deadly dames. Who will capture your heart (and try to eat it) this week? We also find out which of Week 1’s contestants will be moving on to the finals! Head on over to the Blurry Photos home page to find the voting form. And quick tip – if the form doesn’t appear on the page, try refreshing your browser (or try a different browser) to get it to appear. Eberhart, George M. “Mysterious Creatures: A Guide to Cryptozoology” ABC-Clio, Santa Barbara, CA. 2002. Farrington, Karen. “Marvels & Mysteries of the Unexplained.” Arcturus Publishing Ltd. London. 2006.